Oxpeckers has partnered with the Barcode of Wildlife Project, a global programme building a DNA barcode reference library of threatened species vulnerable to illegal trade. This library will provide accurate identification of plant and animal material, and enable government agencies to use it for border inspections, courtroom prosecutions and other enforcement measures. A list of 200 priority species of plants and animals has been selected for the project and the South African National Biodiversity Institute (SANBI), which is coordinating the project, is in the process of collecting DNA samples of these species. Included on the list are cycads, some of the succulent plants favoured by collectors, some medicinal plants, four of the “Big 5” animal species, pangolins, vultures, cranes, chameleons, sungazer lizards and some snakes, sharks, abalone, crayfish and several fish species that are protected. The first part of the project is the construction of a reference library of DNA barcodes for the priority species, as well as for species that are closely related or resemble the priority species. The inclusion of “look-alike” species is essential so that identification by DNA barcode can’t be challenged on the basis of it being that of a non-protected species. The second part sees the promotion of DNA barcoding among enforcement agents and prosecutors, who need to understand the technology and to incorporate DNA barcodes into investigations and court cases. 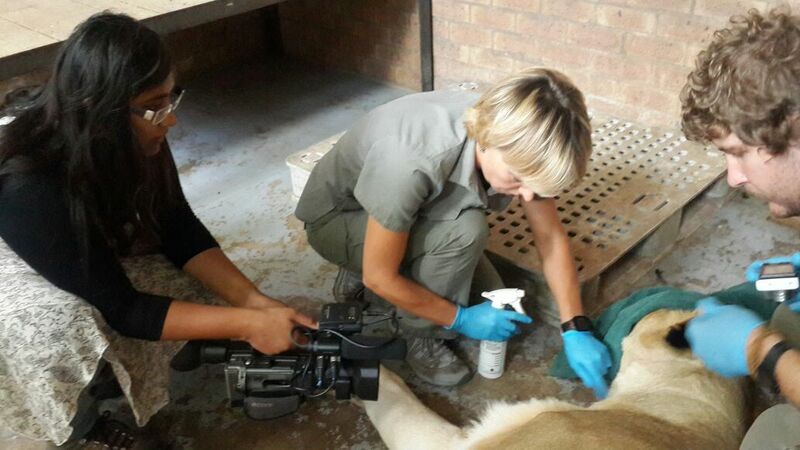 SANBI is implementing the project with the University of Johannesburg’s African Centre for DNA Barcoding, the South African Institute for Aquatic Biodiversity and the National Zoological Gardens of South Africa. Critical input comes from the South African Police Services forensic section, the National Prosecuting Authority and the Department of Environmental Affairs’ Enforcement section. Google’s Global Impact Awards programme provided funding for the project, which is coordinated through the Consortium for the Barcode of Life, an international initiative headquartered in Washington, DC.